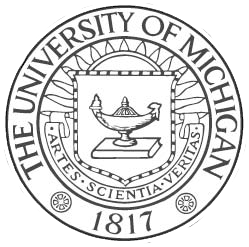 The Michigan Journal of Law Reform is one of the country’s foremost academic journals dedicated to promoting legal reform. Across its four issues, annual symposia, and online publication, Caveat, the Journal identifies the critical problems facing domestic decision-makers and presents responsive solutions. In every medium, the Journal provides content that is timely, novel, and focused on reform. The Journal is one of the oldest and most well respected law and policy publications in the nation. It publishes cutting-edge legal scholarship by both academics and legal practitioners. Established in 1968, the Journal finds its roots in a desire to propose constructive, well-reasoned reforms in all areas of the law. In the Journal’s inaugural issue, Professor Francis Allen summarized the publication’s purpose in the following way: “In short, it seeks to promote the improvement of law and its administration in all areas in which needs are disclosed and in which useful proposals can be advanced.” True to these words, the Journal’s Editorial Board has consistently sought out and published articles on a diverse range of legal issues, eschewing the narrow focus of many legal publications. The Journal also regularly sponsors symposia. These multi-day events provide an in-depth examination of one area of law in need of reform, with presentations by some of the most prominent and compelling scholars and practitioners in that field. The ideas presented at these symposia are then consolidated and published in article form in the Journal’s Summer Issue. Previously, symposia have focused on such varied topics as jury reform, products liability law, and school finance revitalization of American cities. Please explore our website to learn more about our publications, symposia, submissions, subscriptions, and application process.